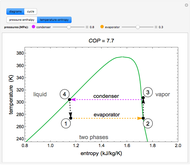 Pressure-enthalpy ( ) and temperature-entropy ( ) diagrams for refrigerant R-134a are used to demonstrate an ordinary vapor compression (OVC) cycle. You can vary the condenser pressure (high pressure) and the evaporator pressure (low pressure) with sliders. 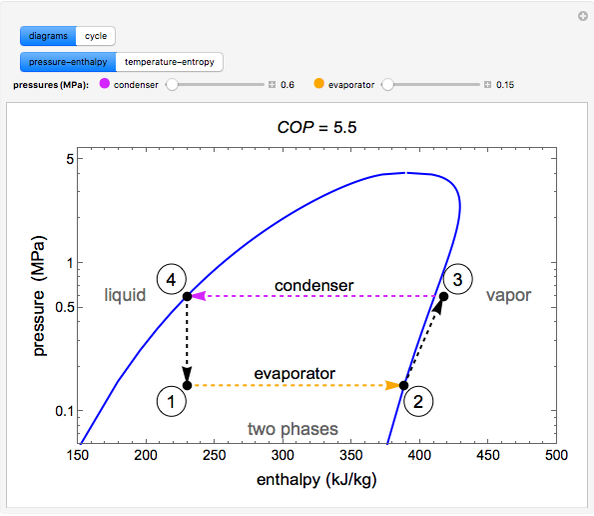 The coefficient of performance ( ), which is the heat transferred to the evaporator divided by the compressor work , is calculated. 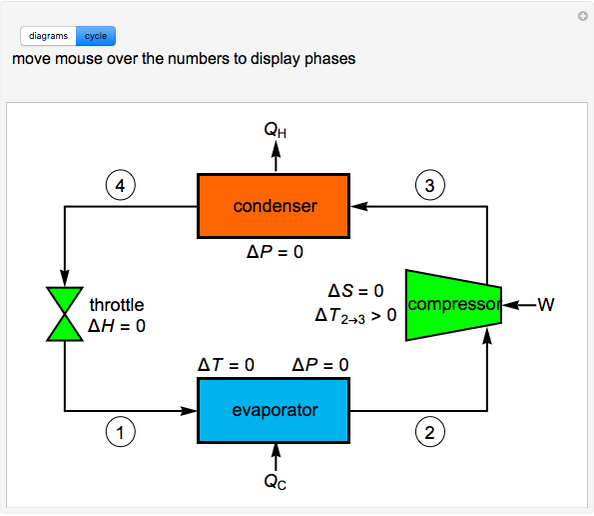 Selecting "cycle" shows the components of the cycle, and moving the mouse over the circled numbers displays the phases present at those points. 1,1,1,2-Tetrafluoroethane or R-134a is the hydrofluorocarbon (HFC) refrigerant used in this Demonstration. 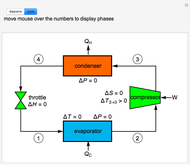 Ordinary Vapor Compression (OVC) Cycle for Refrigerant R-134a. 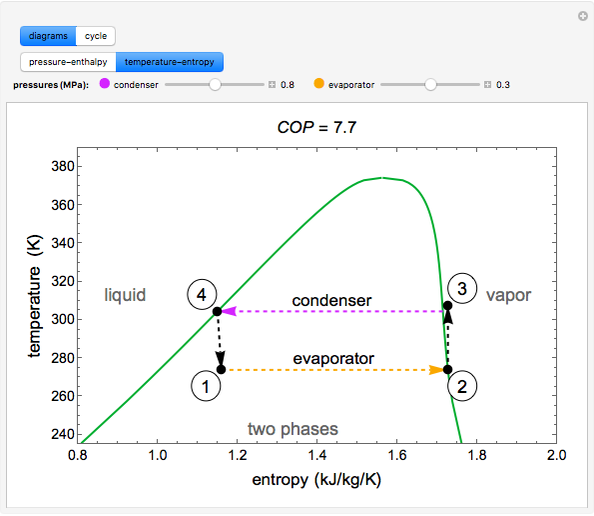 www.colorado.edu/learncheme/thermodynamics/OrdinaryVaporCompressionR134a.html. 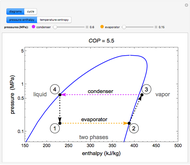 Rachael L. Baumann "Ordinary Vapor Compression (OVC) Cycle for Refrigerant R-134a"